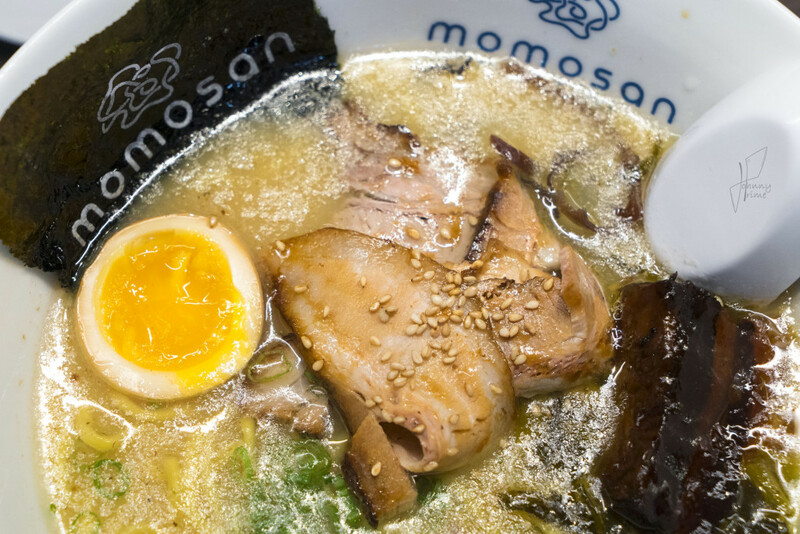 Momosan is Iron Chef Morimoto’s newest joint that specializes in ramen and sake. 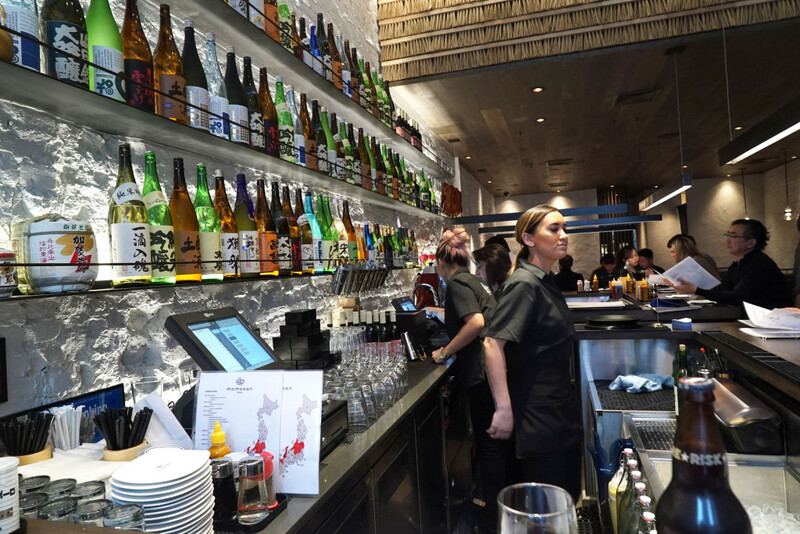 It’s a smallish-sized joint that seats 66 people and has lots of bar seating. 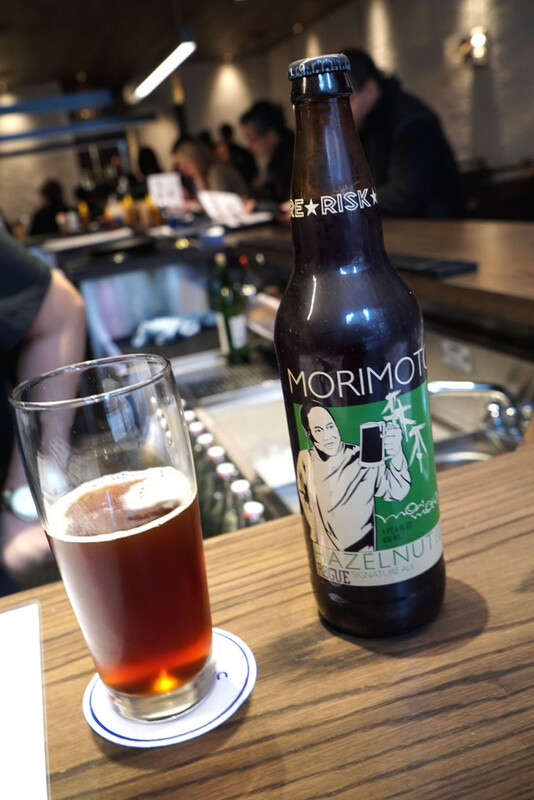 Speaking of the bar, they have some really interesting beers and sakes. 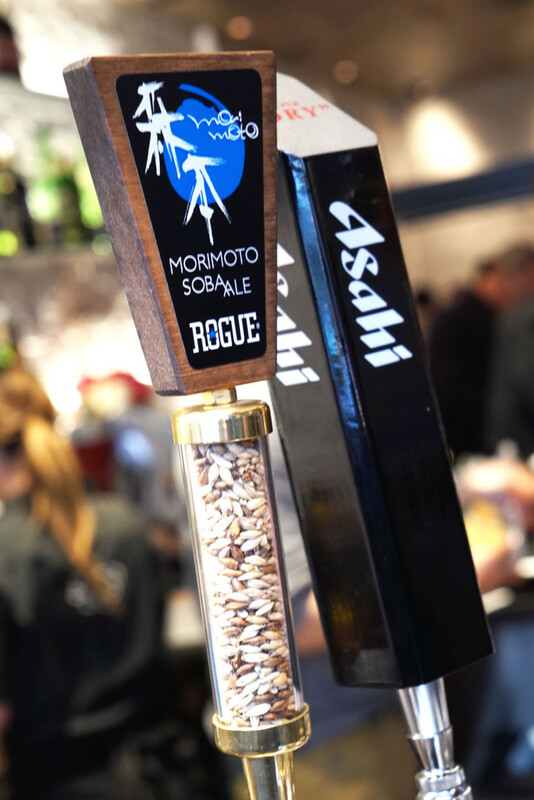 I tried two great beers: a hazelnut Morimoto bottle and a soba ale draft, both by Rogue. 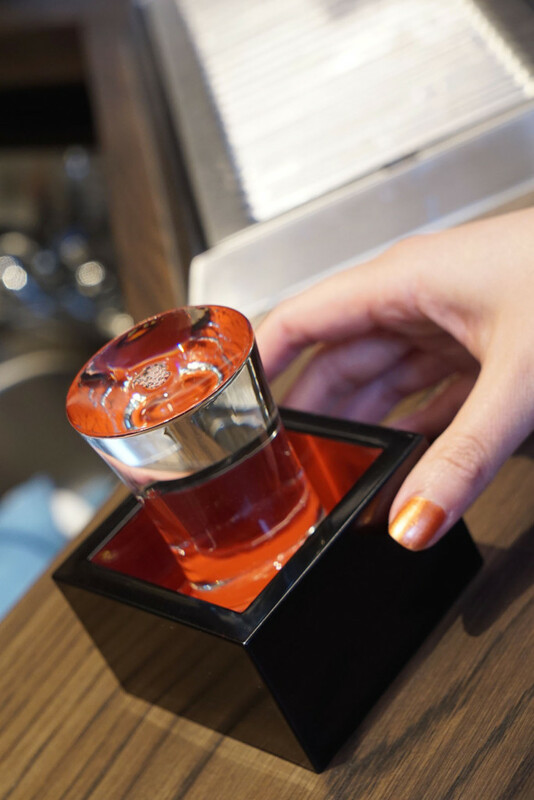 My wife went with a really good sake that the bartender recommended (Suehiro was the brand), It was just the right balance of sweetness, served in an overflowing shot within a wooden box. 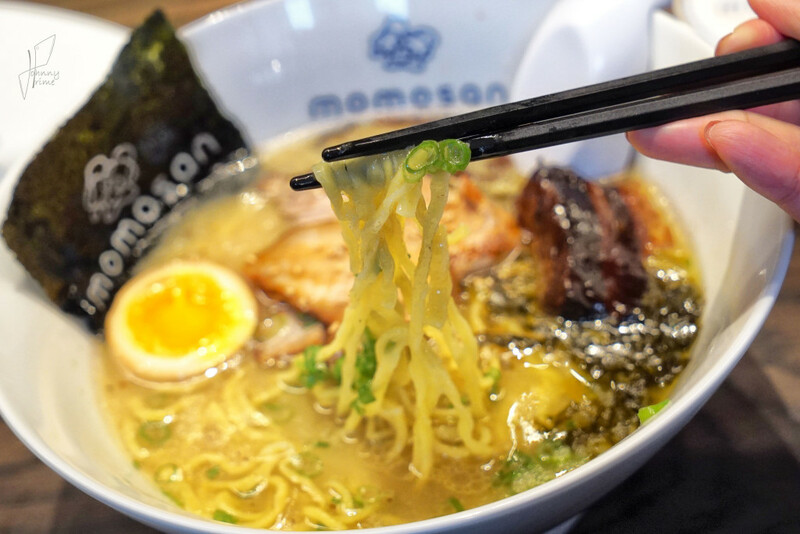 So not only does this place have great ramen, as you will see below, but they also have really good and unique apps and entrees. 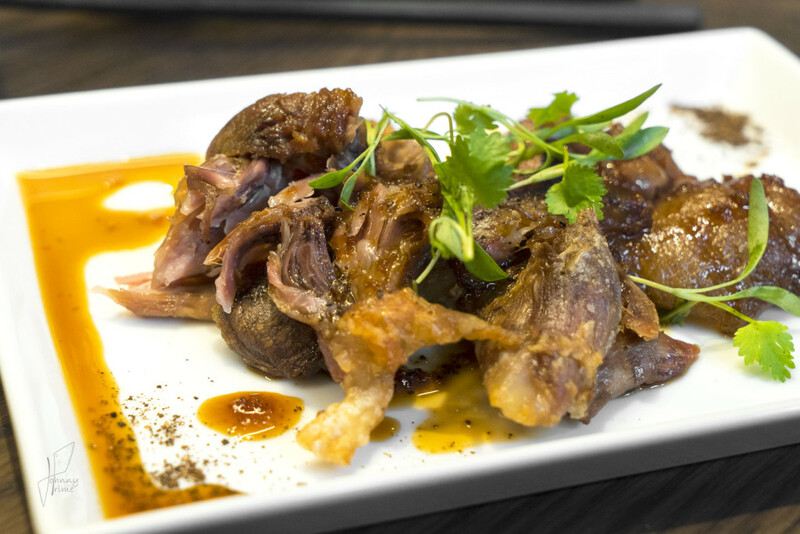 The executive chef is Korean, so there are some Korean-inspired items on the menu like various kimchis and bibimbap-like dishes. 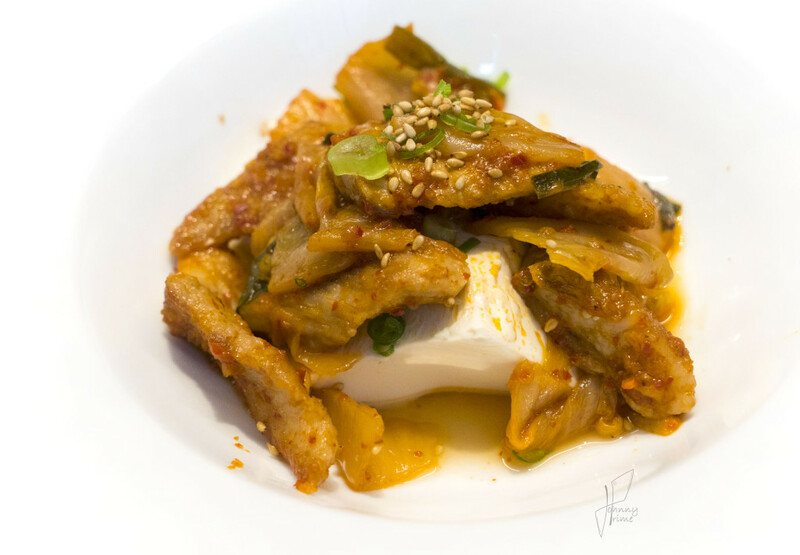 We started with the pork jowl and tofu kimchi. As you can see, it’s sitting on a nice pillow of silken tofu, which you will definitely need a spoon to pick up, as the chopsticks cut right through it. 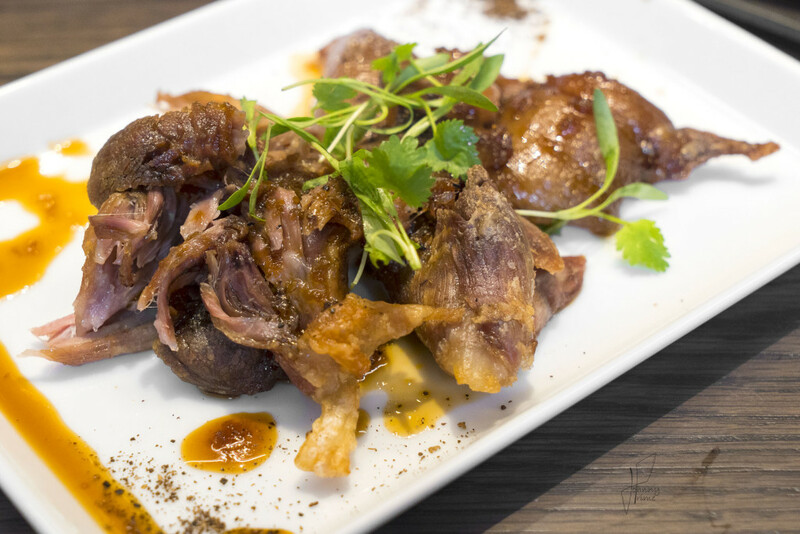 The next two dishes were the clear stand-outs of the three. 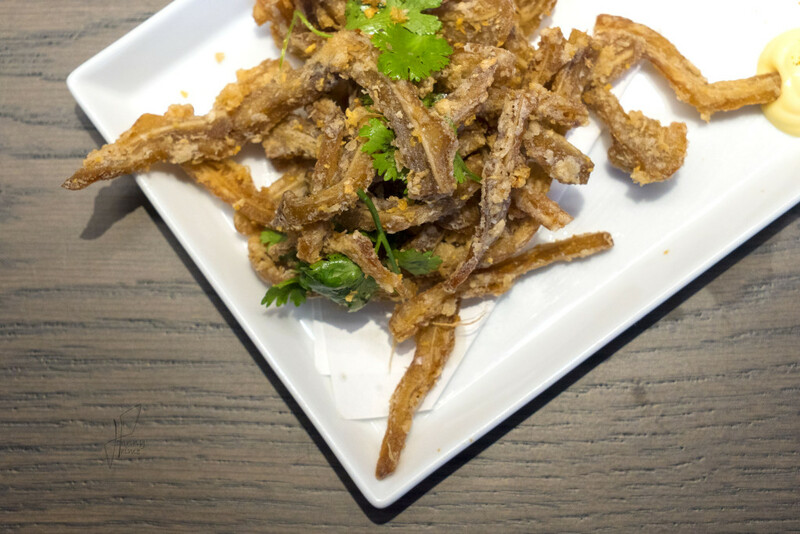 Crispy pig ears and braised pig feet. They may sound disgusting to the average person, but let me assure you they were absolutely incredible. 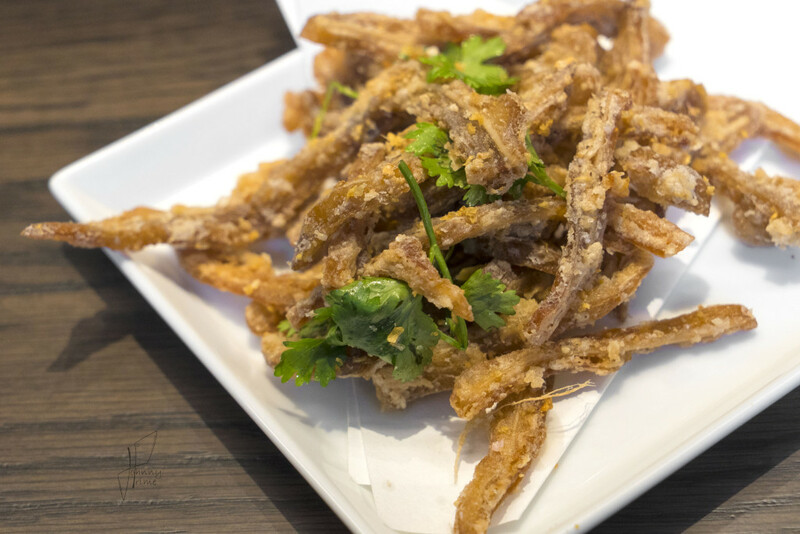 First the ears: these were like crispy pig fries. They had just the right amount of crunch on the outside and tenderness on the inside to make you not even know you were eating meat. But so packed with flavor. I could eat a bucket of these without blinking. These came with a spiced mayo for dipping, but I recommend dipping them in this hard to find chili garlic paste as well (it’s on the tables and the bar here). 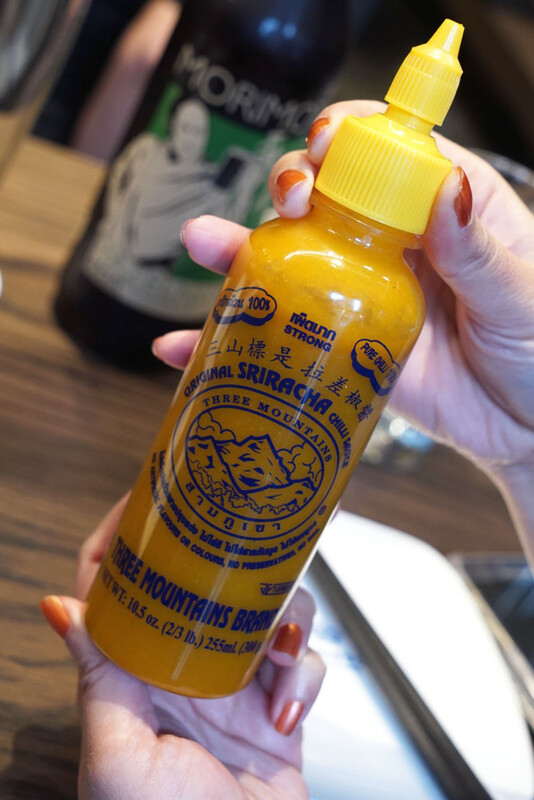 It had an almost mustard-like flavor profile to it, even though the ingredients are pretty simple – chilies, garlic, water and vinegar. Now the pig’s feet. Amazing. You get two parts here. 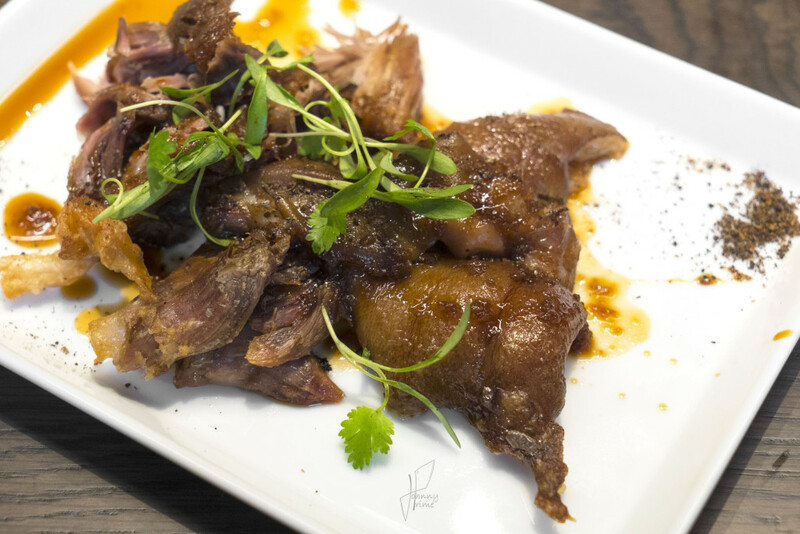 One is the gelatinous hoof-like part – which is melt-in-your-mouth delicious, like pork jelly – and the other is braised and crisped meat. It’s nice to eat a little together at the same time to mix up the textures. I think this might have been my favorite of the three, but it was very difficult to make that call up against the ears. So when you go, just man-up and order them both. 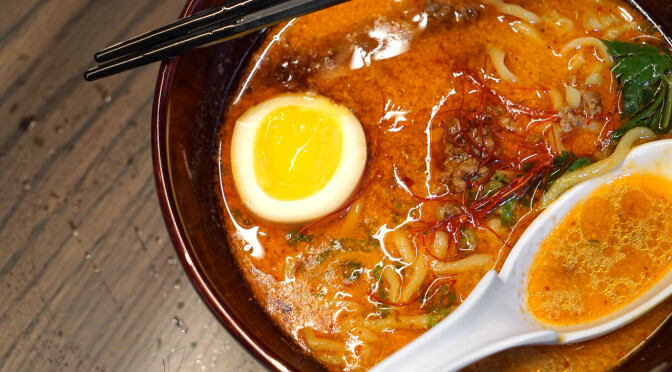 Okay, so now for the ramen. 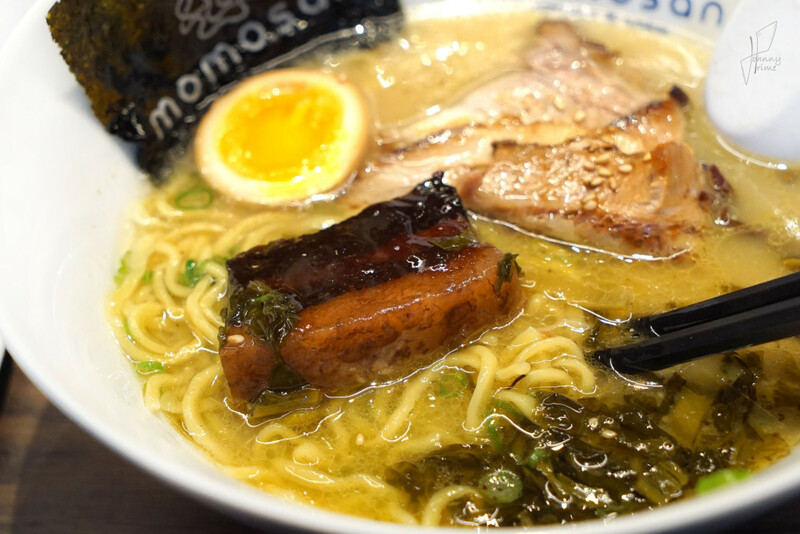 I tried the tonkotsu with an added slab of miso-braised pork belly on top. 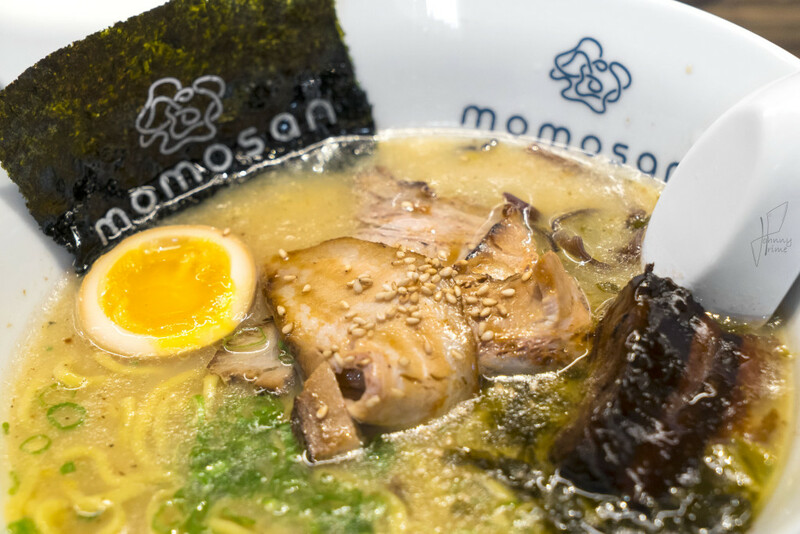 The broth was very flavorful with a nice layer of fat on top, paying homage to the real-deal Japanese versions of this style. I was distinctly able to taste the use of kelp in the broth, which was nice and refreshing. The egg was perfect, but the $4 added slab of pork belly was a bit small (though incredibly delicious). 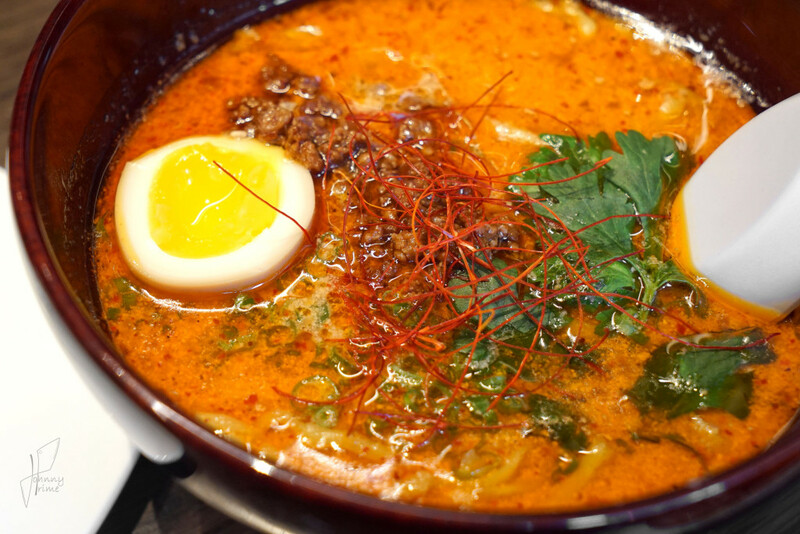 My wife tried the tantan, which is a spicy coconut curry broth with pork and saffron. The deep red color is absolutely stunning. I liked it very much. The sweetness of the coconut cut the spice of the curry really well. 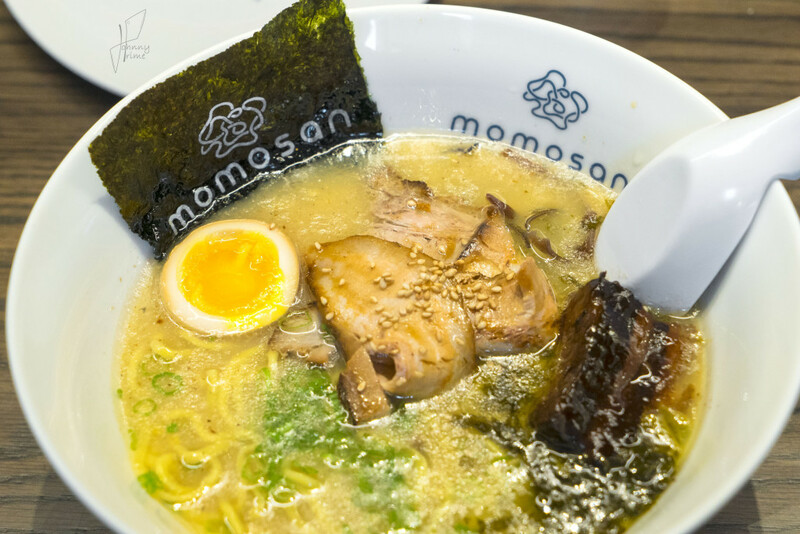 When I come back, I will be getting a bowl of this for myself, for sure. 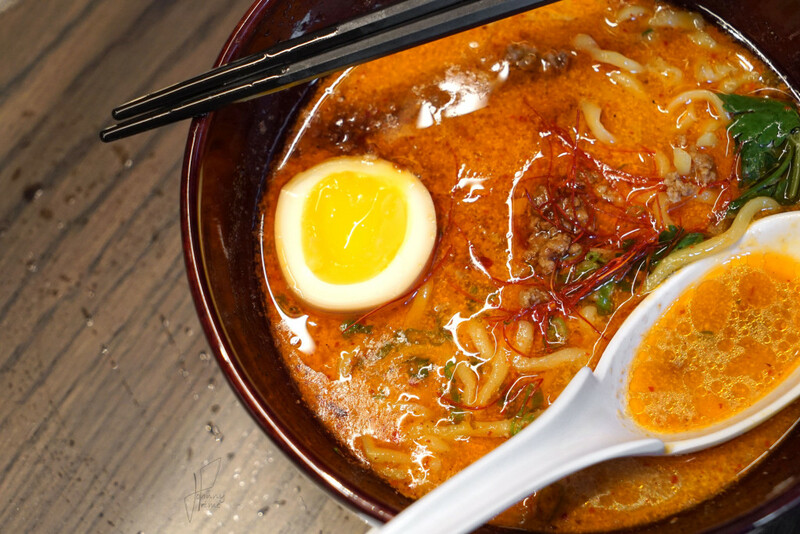 The ramen all come in two sizes, and if you are really torn between choosing, then get two small bowls. The tsukemen, however, does not come in two sizes. Tsukemen is concentrated ramen broth with a bowl of dry noodles and meat that you dip into the concentrated broth before eating. My buddy ordered this. He’s pretty reserved and particular when it comes to judging noodle shops, but he really did like this one a lot, and Morimoto kept coming to our table to check on him and what he thought when he got wind that there was a true tsukemen aficionado in the house who had not been impressed by any other NYC ramen shops’ offerings to date. Below is a shot of the tsukemen noodle bowl. You’ll notice a lime wedge in there. The chef recommends eating the first half without the lime, and then using the lime to punch up the second half. I think it’s a smart move because the citrus acts to cut through the fatty layer that forms over your mouth and tastebuds from eating the first half. The lime essentially cleanses the palette so you can taste all that goodness again on the second half of the bowl, only this time with some added citrus kick. Delicious. I think that about covers it. 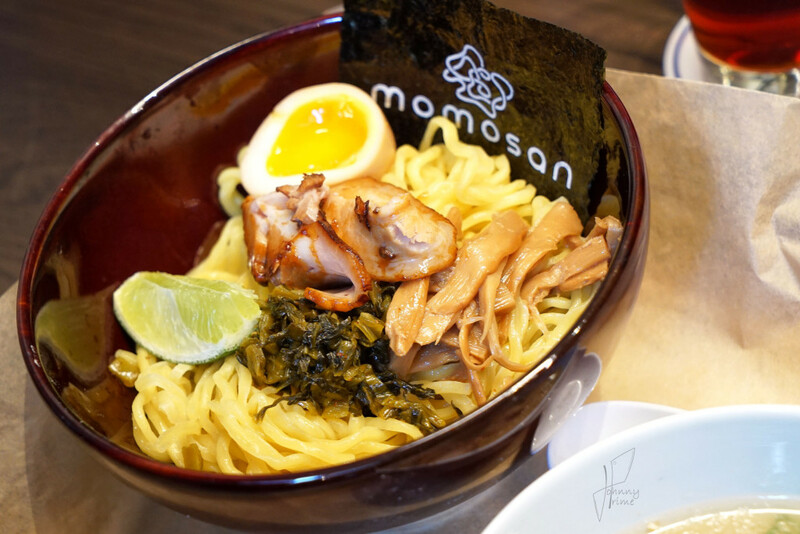 Great first few days for this new opening, and I am excited to go back in for their lunch specials, which will consist of a small ramen and an app or rice “don” item for just $16.